Do you have outstanding traffic summons? Recently, Polis Di Raja Malaysia (PDRM) is going out to apprehend traffic offenders in Malaysia who has outstanding traffic summonses. 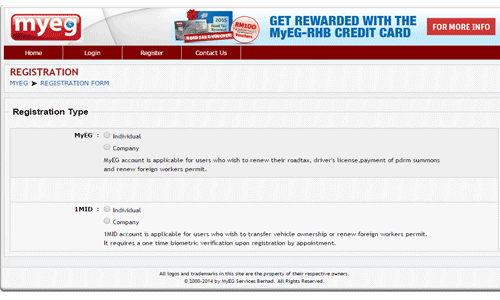 One way of knowing if you have traffic summonses is to check them on MyEg portal. In this article, I’ll run through 5 easy steps to check for your traffic summonses online. Go to MyEg official web site at www.myeg.com.my. Next, click on the “Don’t Have an account? Register…” link at the right corner. When you are at the registration page, go ahead and register for an account. Registration is free of charge. You can register for an individual or a company account. Enter all your personal information and then click on the “Submit” button to continue. When you’ve done that, you will be getting a confirmation email sent to your email address. Click on the email confirmation link to activate your account. When you are in your MyEg account main page, there are multiple services you can choose from . 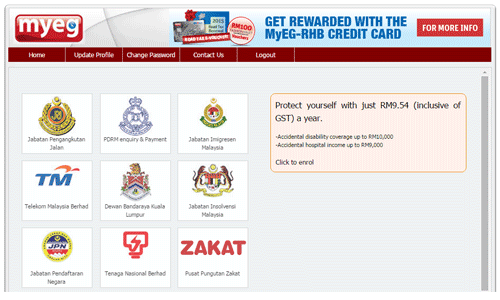 Click on the “PDRM & Payment” button. 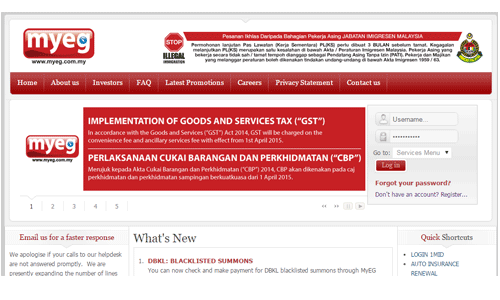 Now, you will be directed to PDRM Summon Service page. Next, enter the security word…just type on the alphabet or number you see on the screen. Click on the “Check Summons” button to proceed. The search process will take a couple of seconds. If you have outstanding summonses, you will see a listing. If there is no search results, congratulations, that means you don’t have any traffic summonses. There you have! 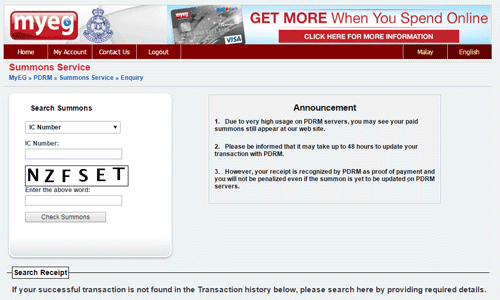 5 easy simple steps to check for your traffic summonses online.